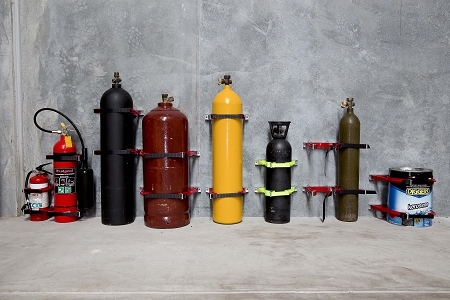 Bottlechock™ cylinder restraints are a safe and secure way to store cylinders. 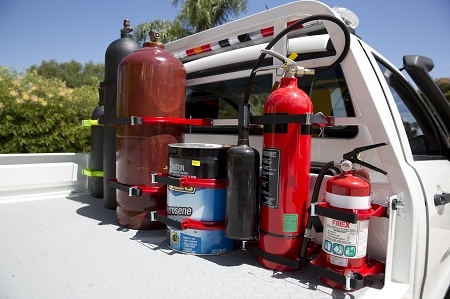 The Bottlechock™ brackets are used to install in various environments. Kenco Distribution is bringing to the U.S.A. the best that the great "Down Under" has to offer in cylinder storage and safety management solutions. Bottlechock™ is an Australian designed and manufactured storage solution for gas cylinders, drums, piping and other cylindrical objects. 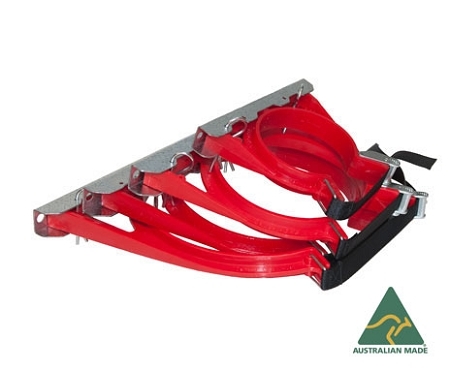 The unique design and rugged functionality of the Bottlechock™ have been tried and tested in workshops and harsh outback conditions across Australia. Bottlechock™ cylinder restraints protect the cylinder, reduce damage to valuable gauges, prevent movement, and provide a safe and secure work environment. The unique design of the Bottlechock™ cylinder restraints ensures full contact with the cylinder's surface and holds the cylinder firmly in position unlike other systems where the cylinder remains loose to allow unfastening. Quick release fasteners allow cylinders to be changed or secured quickly and easily. No lifting is required thereby reducing the possibility of back injury. The Bottlechock™ cylinder restraints work in diverse environments: in the beds of work trucks, at sea, at mine sites, hospitals, and laboratories. Bottlechock™ cylinder restraints have been designed to safely secure cylinders to help achieve a safer workplace. 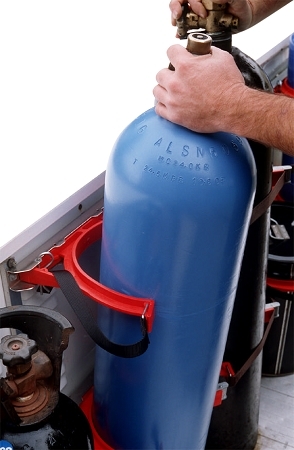 Regulations require cylinders to be properly secured in transit and while stationary. They can be a threat to workers if not secured correctly. The shape, size, and weight means that moving and securing them can be difficult. The Bottlechock™ cylinder restraints are designed to positively grip cylinders in the workplace and in transit. If the strap is incorrectly left unfastened some security is still provided. Each Bottlechock™ cylinder restraint is designed to adapt to a larger or smaller diameter. It is easy to engage the cylinder, and all diameters within its range are firmly held. 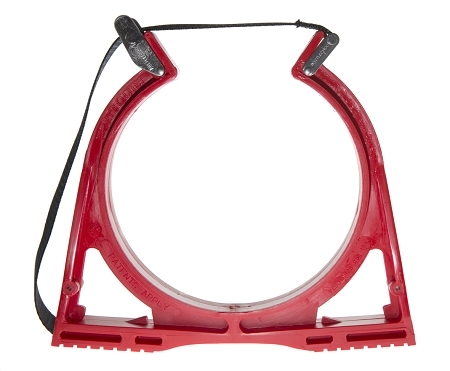 Bottlechock™ cylinder restraints can be used to secure other round items between 3.875"-14.625" in diameter: extinguishers, fuel canisters, drums, or pipe work. Horizontal use can be an option where regulations allow. Other Bottlechock™ cylinder restraint solutions besides those on this website are available. Contact us for more information if you are interested. 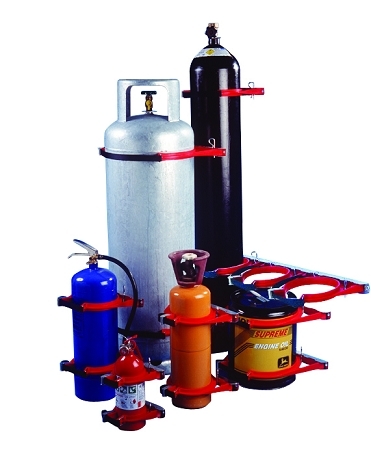 Suits gas cylinders, oxygen tanks, fire extinguishers, oil drums etc. The brackets are available in either galvanized steel or 316 stainless steel. The steel brackets are galvanized for corrosion resistance. 316 stainless steel's improved corrosion resistance make it ideal for marine and specialty applications. If you don’t see what you want on our website, please contact us and we can help get you what you are looking for.